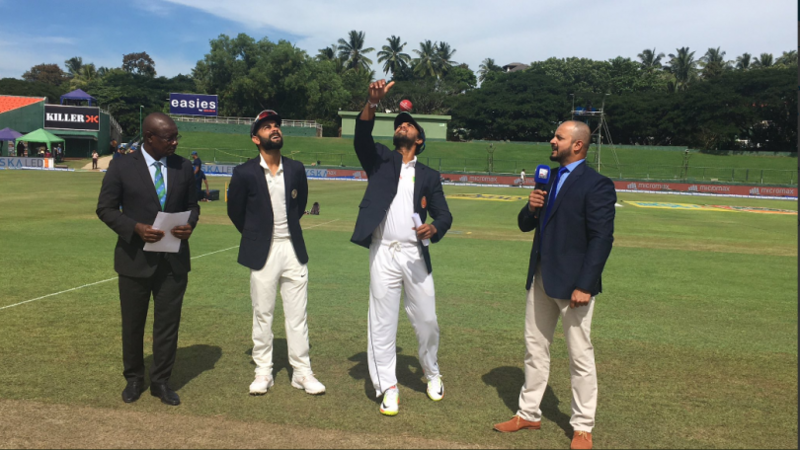 In 3rd test match between India and Sri lanka , Captain Virat Kohli won the toss and decided to bat in final cricket Test against Sri Lanka . India Team is already 2-0 up in the series, change in the team is inclusion of chinaman Kuldeep Yadav in place of all-rounder Ravindra Jadeja, after he was banned for one match for breach of conduct. On the other hand, Srilanka made three changes in the squad, Lakshan Sadakan, Lahiru Kumara and Vishwa Fernando have replaced Rangana Herath, Nuwan Pradeep and Dhananjaya de Silva.